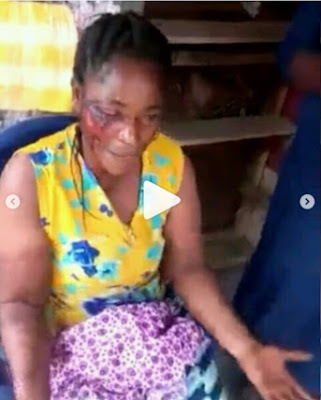 Two women have been beaten to a pulp by the men of the Ogun State Police Command attached to the Lafenwa Division in Abeokuta, the state capital. The women, whose names were not known as of the time of filing this report, were in tears as they accused the policemen of assaulting them for no just cause. According to reports, the incident occurred on Thursday last week while the women, who are traders, were coming from a market in the area. A clip of the women, which was shared on nairaland on Thursday, showed the bloodied face of one of the women. 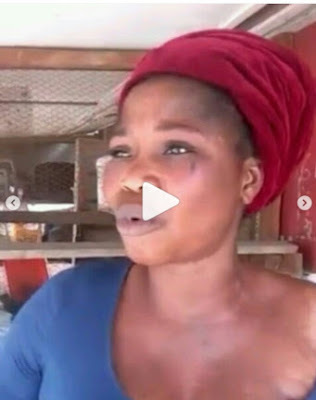 According to the report, instead of the Divisional Police Officer to investigate the matter and take appropriate action, he allegedly tried to sweep it under the carpet by giving the women N3,000 to go and take care of themselves. In the 37-second clip, the women narrated their ordeal in the hands of the policemen, claiming that they were slapped, dragged on the ground and brutalised. The state Police Public Relations Officer, DSP Abimbola Oyeyemi, said the incident happened when the Commissioner of Police, Ahmed Iliyasu, was not around. He noted that the matter had been attended to by three deputy commissioners of police, adding that the police officers had appealed to the women despite the fact that the uniform of one of the policemen was torn by the women. Oyeyemi said, “It was a case of an accident. There had been series of shop break-ins and snatching of bags around Lafenwa. The Commissioner of Police gave an order that a team should be set up to check the menace. This team usually patrols the area every night. “On that fateful day, the team saw two boys around some shops in the area at 3am. They looked suspicious and later ran away when they saw the police. “The police gave them a chase and as they were pursuing them, two women were standing beside a motorcycle around 3am and in an attempt to escape from the police, the boys had a collision with the women. One of them fell down and the other held one of the policemen and tore his uniform. Oyeyemi added, “The following day, the incident was reported to the state headquarters and three deputy commissioners of police summoned the DPO and ordered him to bring the women and members of the team to them. “The DC in charge of operations, Edward Ajogun; the DC in charge of the Criminal Investigation Department, Aminu Al-Hassan; and the DC in charge of administration, Wale Olokode, contributed N40,000 and gave each of them N20,000 to take care of themselves. 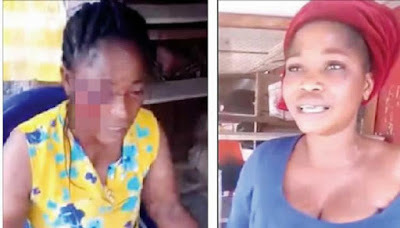 “When the women complained that they didn’t have husbands, the officer asked them to be taken to the Police Clinic, apart from the N20,000 given to each of them.